With ZERO Prospecting, ZERO 1-on-1 Presentations and ZERO hassles. This webinar may be full and no replay will be offered. Tyson gets straight to the point and gives you real-world, actionable items that you can start implementing in your business immediately. The training you're about to receive is brand new, cutting edge and has never been taught outside of Tyson's inner circle. 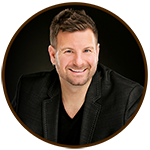 Tyson Zahner teaches home business owners and entrepreneurs how to build their businesses using the leverage, automation and power of the internet. Tyson struggled in direct sales for 18 years before he finally cracked the code to building his business online. Within 1 year after using these new strategies, he hit the top earner status in one of his opportunities. Tyson has spoken on stages across the country and has trained thousands of entrepreneurs how to be more efficient and more profitable by leveraging the internet. 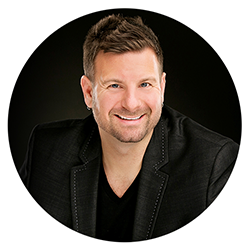 Tyson has never publicly taught the system and strategies that he's revealing in this webinar. Reserve your spot now! Our Webinars Always Fill Up So Register Now! NOTE: This is not a business opportunity. No income opportunity is being presented in this web-class. You are registering for training to assist you in getting more customers and members for your existing direct-sales business. DISCLAIMER: We don't believe in "get rich quick" programs. If you're looking for a push-button system that will make you rich or do all the work for you or magically generate leads without you learning new skills or putting forth any effort, then this class is NOT for you. We believe in hard work, adding value and serving others with excellence and integrity. While the information in this web-class is based on real-world results, we do not make any guarantees at all about your ability to get results or earn money with our ideas, information, or strategies. While we firmly believe this information can make a massive difference to your business, we also know that -- just as with anything else in life -- your results will depend entirely on your own time, effort, energy and commitment. My results are not typical. The results you have read about in testimonials from my top students are not typical. In fact, it's our opinion that most people who engage any "how to" or "improvement" course usually don't get any results at all. We believe it's because they don't take action on what they learn and they give up after hitting the inevitable roadblock. If you want to succeed in anything -- including your business -- you have to have a good plan, a solid work ethic and the ability to keep working toward your goals when you hit a snag. The purpose of this web class is to give you a sample of our training. For those who find the training valuable and wish to dive deeper, there will be an offer at the end of the web class giving you the opportunity to purchase one of our home study courses. However, this complimentary web class does NOT put you under any obligation to buy. Furthermore, while all of our home study courses have a full 30-day "get results or get your money back" guarantee, we should take a moment to state the obvious and say that getting results requires the customer/student actually does his/her part and implements the training. If you are the kind of person who starts a program and doesn't finish it or quits at the first sign of a challenge and then expects a refund because "something came up in your life" or because you decided to "go a different direction", not only do we recommend that you NOT purchase any of our courses, we recommend that you move on from this page entirely without entering your information so as not to waste your time. All of this information is available in our terms, privacy, and disclaimers and can be accessed by clicking the links below. If however, you appreciate this no-nonsense approach to doing business and you recognize that anything worth achieving in this life is also worth working for, then we believe you are a perfect fit for what we have to offer and we'd love to help you succeed in your business.